IU Bloomington has a superb and thriving arts and humanities environment, with world-class music, theater, dance, and humanities offerings. These resources paired with the rich arts and artisan heritage of rural Indiana create a vibrant quality of place in our communities. The center partners with the Arts and Humanities Council, the School of Art, Architecture, and Design, the Department of English, the Eskenazi Museum of Art, and the Mathers Museum of World Cultures and Indiana towns to increase capacity for creative activities, design inspiring programs for all residents, and construct beautiful and functional community assets. Arts and humanities faculty are working with rural communities to connect residents to arts performances, including music, dance, and theatre; museum exhibits; lectures; creative writing; and initiatives to assist local arts groups with community development. 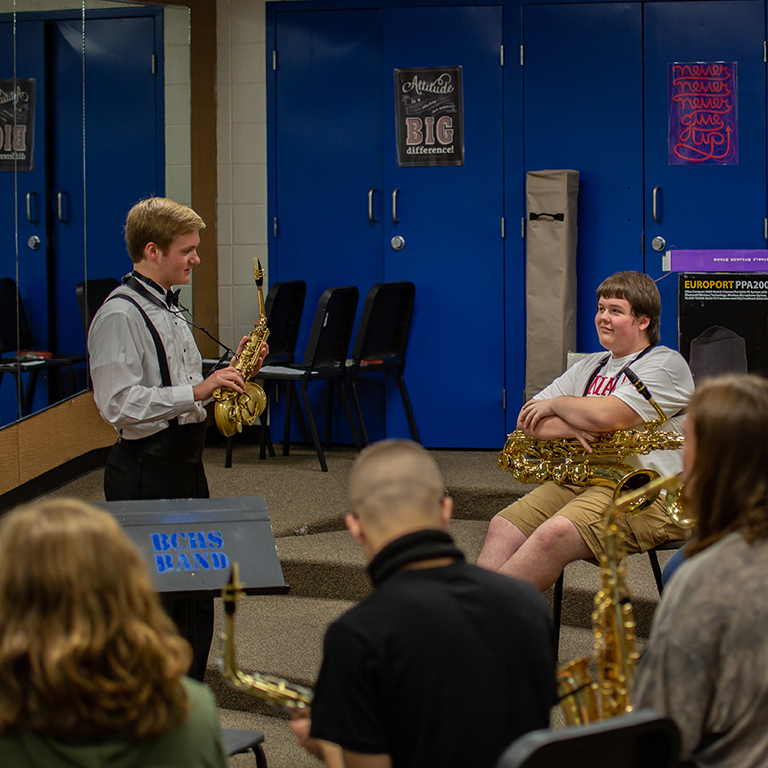 Recently, the Jacobs School of Music Concert Band held a performance and masterclasses for Brown County High School students. The Director of Traditional Arts Indiana is developing county-specific resource and activity guides for senior citizens designed to improve health and wellness in aging populations. Faculty from the School of Art, Architecture and Design will partner with members of the Orange County community on a pilot project to design and build a small home that would have access to shared resources and could support aging in place. Learn more about this initiative on the project website.